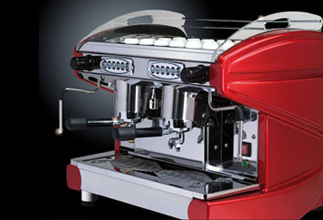 The Lira Series of espresso coffee machines is a perfect blend of modern and traditional design. It has the look and feel of function, substance and elegance that fits easily in any contemporary or traditional establishment. The Lira Series are available in multiple groups with various boiler size configurations to accommodate any needs.